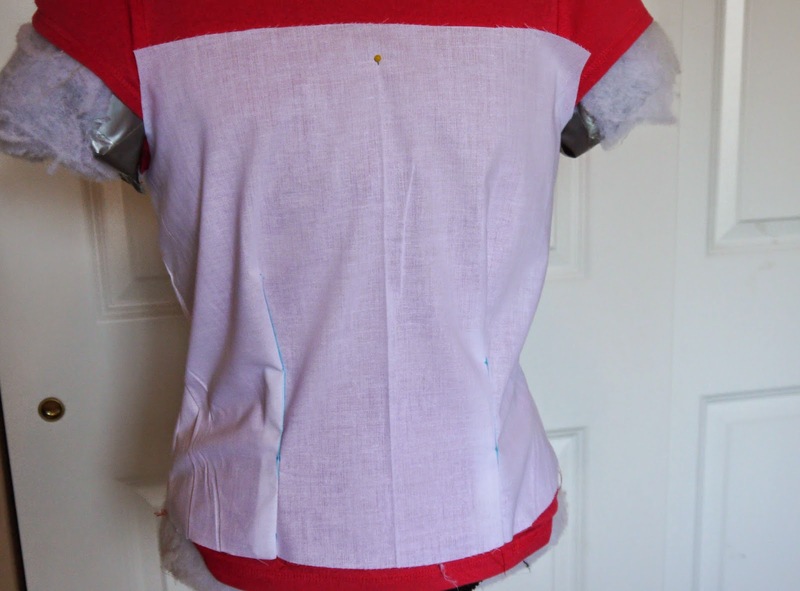 Okay, so I started out with using New Look pattern 6156 for the bodice mock up for my Rose Tyler costume. I started out doing it exactly as the pattern went just to see how it would look. 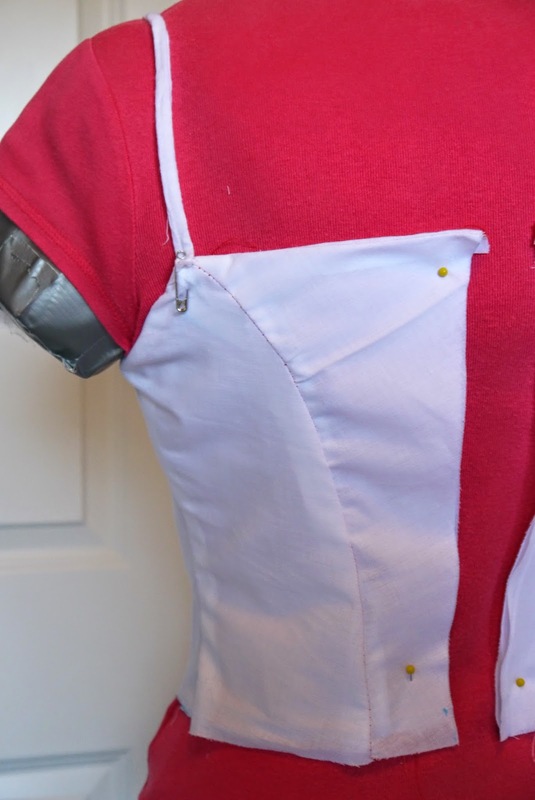 I already knew I would have to make some changes so I could add boning, because the bodice is obviously boned. This pattern only had darts in both the front and back. 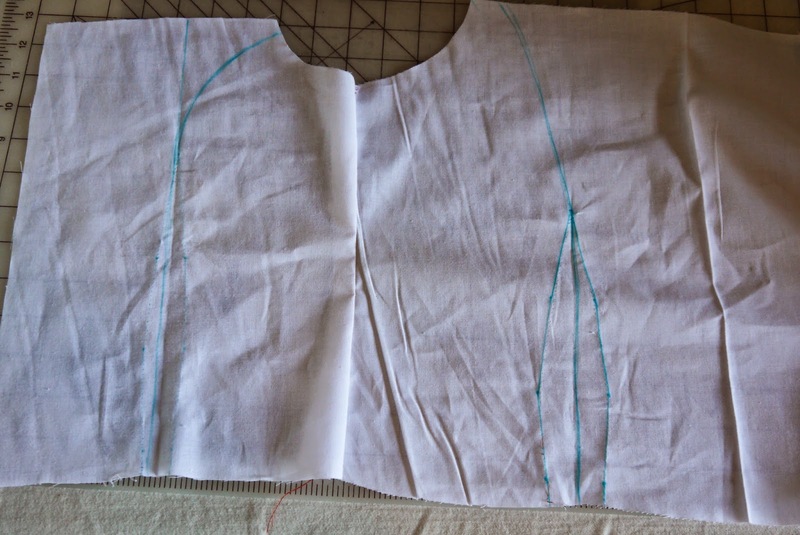 This is what the top looked like when I did it the way the pattern is. As you can probably tell, it didn't fit at all the way it should have. 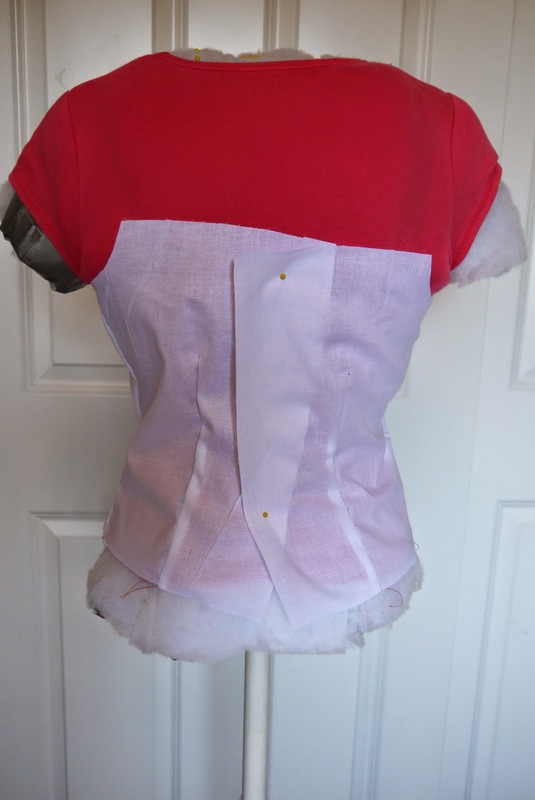 I un-stiched the darts and added Princess type seams to both the front and back. 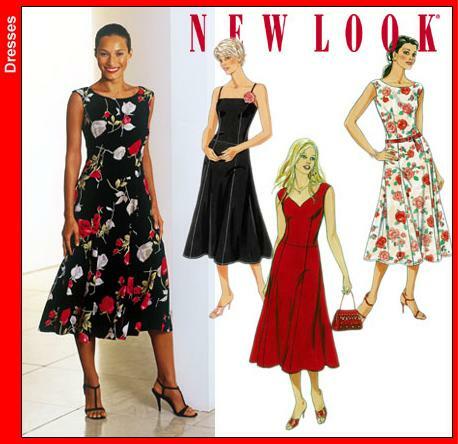 On the right is the original pattern and the left is my alteration. It fit so much better after this! 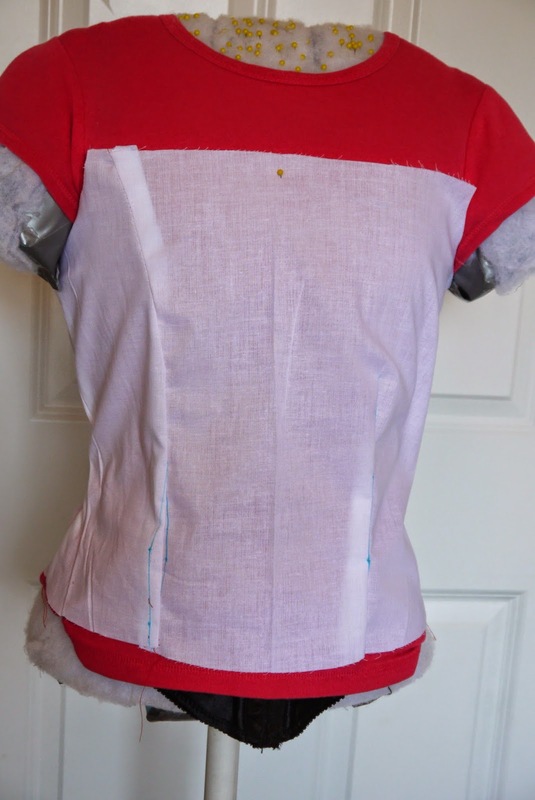 I tweaked the back a little bit before cutting out a second layer for the lining. 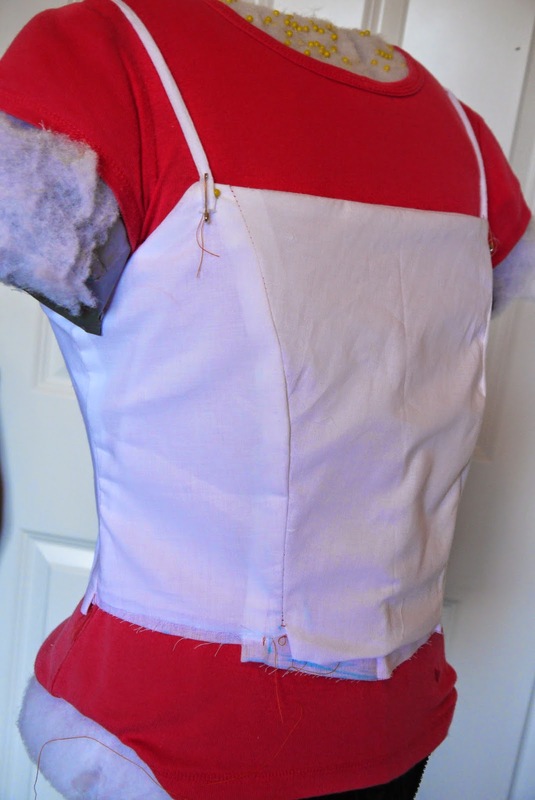 I ended up having to take it in a little bit in the front seams and cut the back panels a little smaller before I was satisfied with the fit. 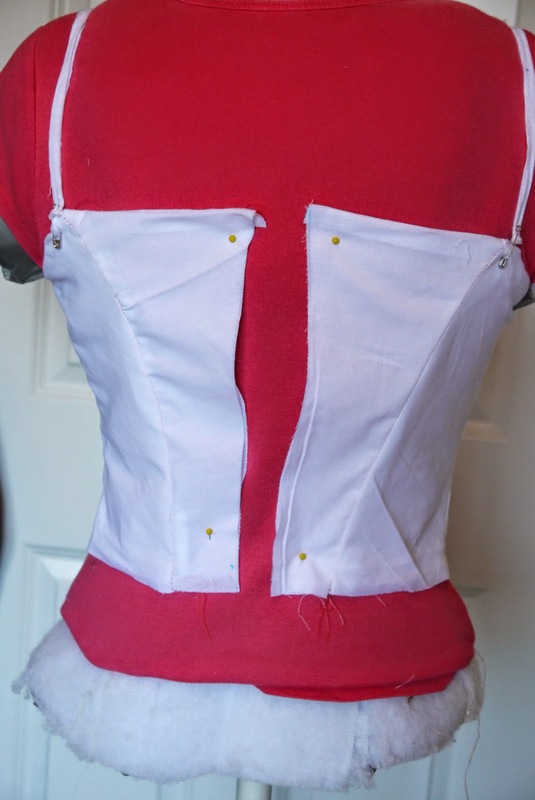 As you probably noticed I added straps to my bodice. The actual dress is strapless, but I'm not comfortable with that and because it won't be seen anyways, I decided to add straps. 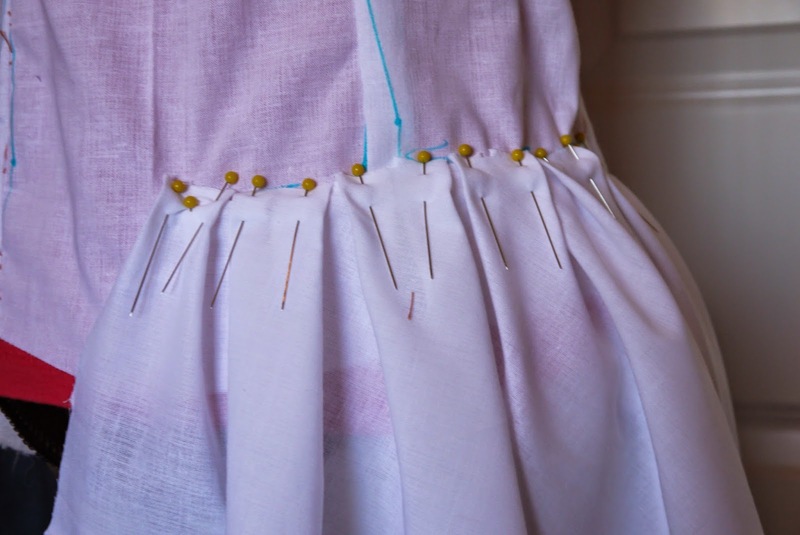 I started testing pleats on a piece of scrap material to figure out how to do the pleats. 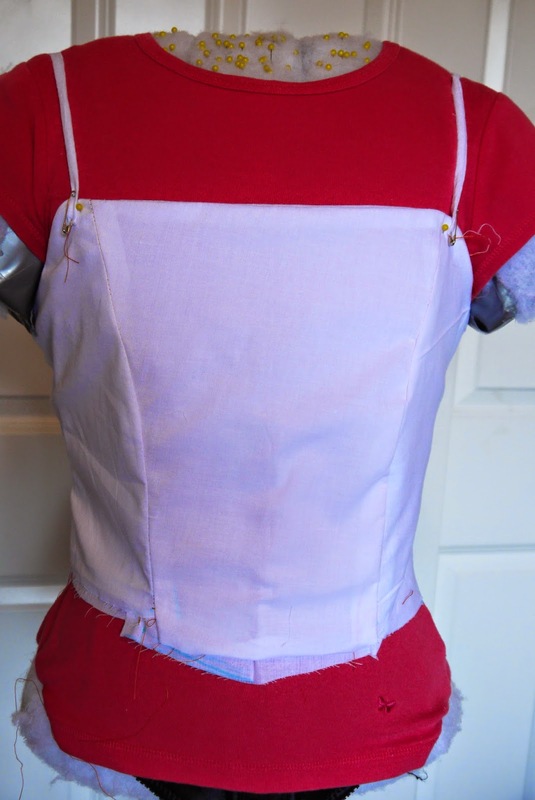 I think they're supposed to be one way pleats, but I couldn't get that to work. I decided to go with box pleats. 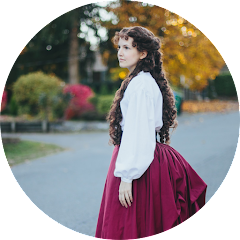 After doing some excruciating math with the help of my mom, I finally figured out how wide I needed to make the waist of my skirt. 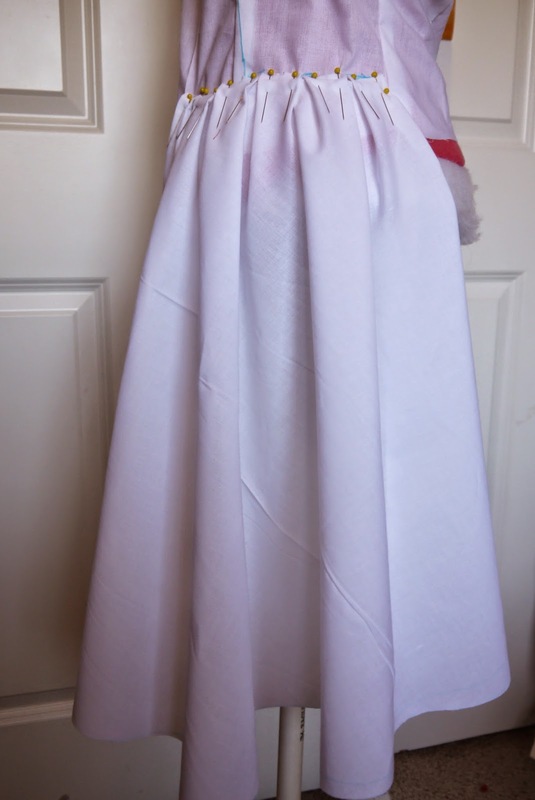 Because I didn't want to use a ton of material for the mock up of the huge circle skirt, I just cut out a quarter of it. You can't tell from the picture, but it's a few inches short.